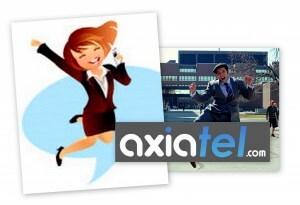 The always innovating Axiatel, has once again shown that their best gets even better. Completely redesigning the Virtual Switchboard service, Axiatel has added more features and simplified the layout for an even more easy to use service. With everyday lives becoming more hectic and the need to be accessible while on the run, we find ourselves with office phones, mobile phones, and of course home phones. Yet it becomes cumbersome for clients, partners, employees, etc. to have all of your numbers so that they can guess which the best number to reach you is. Axiatel’s Virtual Switchboard allows you to receive all important calls (and pass up the calls you don’t want to take) through call redirection without having to download or install any software. 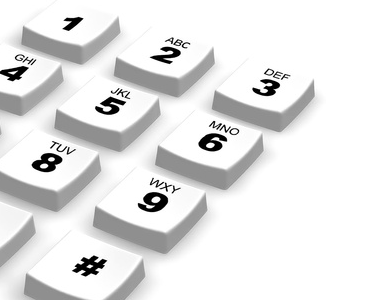 Your contacts won’t have to remember 3 or more different numbers just to reach you. • Group call redirection – When you want your caller to be received by the first available phone, Group call redirection allows all the phone lines (landlines, mobiles) configured in your settings to ring at the same time so that your callers will not have to wait for the next available phone line. • Professional voice messages without the extra cost – Want to have a professional sounding greeting message, but don’t like the 250 voice messages offered with each package nor want to pay extra for a studio recording? Now you are able to type the messages you want your clients to hear and have Axiatel’s automated text to speech software do the rest! You can choose from a UK accent, Australian Accent, and of course a Canadian accent. • More call redirection options – With the makeover, Axiatel has increased the amount of times your call can be redirected. Five call redirection options for the Business Package and ten call redirection options for the Premium Package. These new feature are a great addition to the already numerous service features included, such as the ability to upload your own voice messages via mp3 files, receive all voicemails via your email and sms, designate when you want to receive calls by setting up your operating hours, transfer calls to landlines and mobiles in over 70 countries. These features and more are what make Axiatel’s Virtual Switchboard a smart business solution for your small business. This entry was posted in Business, Internet, Mobile, Mobility, Virtual Switchboard and tagged Business, Business and Economy, call redirection, greeting message, Iphone, Landline, mobile, Mobile phone, mobility, office phones, Telecommunications, Telephone line, text to speech software, Virtual Switchboard, virtual switchboard service, voice messages, Voice over Internet Protocol. Bookmark the permalink.